It’s a (virtual) party weekend for Love Under Fire! All weekend long, we'll be partying at our FaceBook Event, beginning at 11:00 a.m. EST on Friday, Saturday, and Sunday mornings and lasting until 9 p.m.--but since it’s online, party-goers can come in at ANY time and enter giveaways, chat with the authors, and win prizes! And there will be a LOT to win, because there are 42 authors participating! 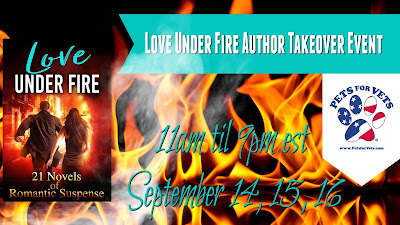 The 21 Authors of the Love Under Fire Romantic Suspense Thrillers Box Set have each invited a guest author to take-over a time slot and chat with readers, share their books, and offer giveaways. Come celebrate with us AND help us support our charity, Pets for Vets. 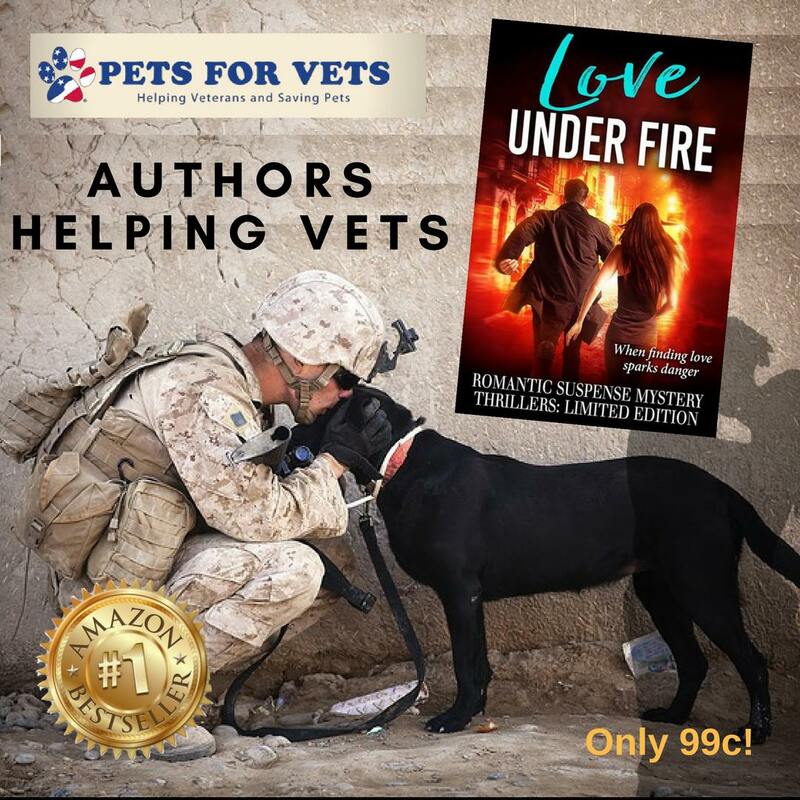 Every purchase of the Love Under Fire Box Set is another donation to this amazing organization that pairs shelter animals with veterans seeking companion animals. Right now, you can get the set for a limited-time pre-order offer of just 99 cents! That gets you 21 NEW, never-before-published stories and helps Pets for Vets. Come join us starting tomorrow, Friday, September 14th, at 11 a.m., or drop by any time, day or night, during the weekend! Here’s our Event Page on FaceBook, just click the link and it should take you right into the party page, but if you have any issues, just make sure you select the “Discussion” tab! Hope to see you there. Limited Edition Box Set only 99c on Pre-order! Links below!